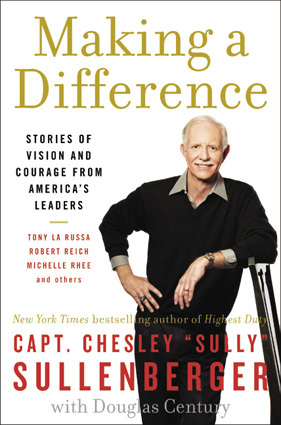 Chesley “Sully” Sullenberger is the Airline Captain who gained fame when he successfully ditched US Airways Flight 1549 in the Hudson River on January 15, 2009. All of the 155 passengers and crew aboard the aircraft survived. Sullenberger is an international speaker and consultant on safety, reliability, and management and has helped develop new protocols for airline safety. As of September 2009, he is the Co-Chairman of the EAA Young Eagles youth introduction-to-aviation program. Sullenberger retired from US Airways after 30 years as a commercial pilot in March of 2010. 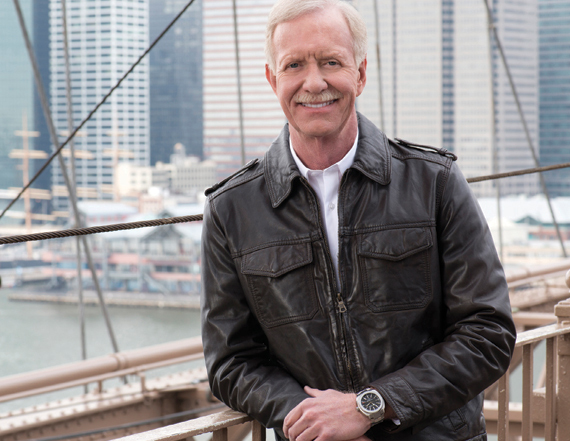 In May 2011, Sullenberger was hired by CBS News as their Aviation and Safety Expert. He is the author of Highest Duty and was ranked second in Time magazine’s “Top 100 Most Influential Heroes and Icons of 2009”. His latest book, Making A Difference, was released in May 2012. You have had a long and successful career, but January 15, 2009 brought you to the world stage. How did you develop your vision from that day forward? It’s something I’ve thought about my whole life and something we’ve worked on at the airline – I actually helped develop a team-building and decision-making course that we taught all of our pilots and flight attendants. But I think preparation began before my birth. My grandparents were all born in the 19th century and yet all four of them attended college; my mother was a first-grade teacher for 25 years in the small town in Texas where I grew up and my father was a professional, so I had the great fortune to grow up in a safe, stable environment in which education was valued, ideas were important, and striving for excellence was expected of me. From my mom, I got my intellectual curiosity and a lifelong love of learning and reading – those things have helped me throughout my career. In fact, with the current global marketplace of ideas, it’s imperative that we all become lifelong learners because it’s the rare individual these days who can make it through an entire professional working life with only one skill set; we have to keep reinventing ourselves and I certainly did after this event – to be a public figure and have a greater voice about these things I’ve cared about for so long. Many young people suggest it’s tough to be optimistic today. What advice would you offer them? One of a leader’s most effective tools in life is realistic optimism. It’s not wishful thinking; it’s having a long view and knowing that, based upon reality and actual skills and abilities backed by hard work, we will ultimately succeed. At the same time, it’s being able to hold onto a very different idea, which is to acknowledge today’s very difficult immediate reality.